Scheduled flight to Keflavik. Transfer to & overnight at Hotel Reykjavik Natura. The evening is free for you to enjoy the sights of this exciting city. 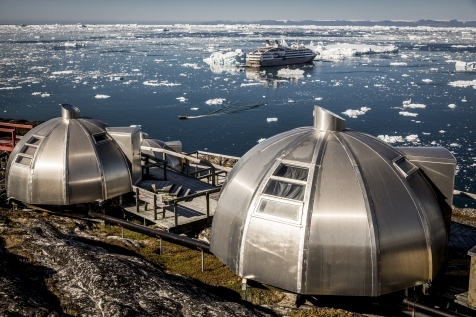 Hotel’s gourmet restaurant ‘Ulu’ which serves a gastronomic delight of finest Greenlandic cuisine. These days are free for your chosen excursions. Experience the icebergs at close range on a midnight cruise or during a full day excursion to the Eqip Glacier. Visit ancient and isolated settlements and meet the local population (human and canine). Whale watching, helicopter tours and fishing trips take place in a truly remarkable and unique setting. Air Iceland flight to Reykjavik, self-transfer for your final night at Hotel Reykjavik Natura. 2 and 3 night stays in IIulissat are also available please call us on 01206 708 888 for further details. By boat head out into the Disko Bay to spot whales. 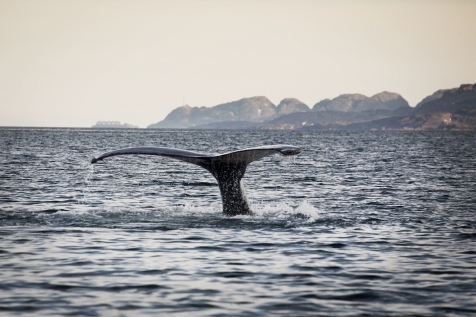 In the summer time humpback whales come to the Disko Bay to feed on the capelin, a small herring-like fish. As the humpback whales are protected they are very trusting and can often be enjoyed at a close range. However sightings can not be guaranteed! Travel by bus as far as the road goes and then take a beautiful walk along the UNESCO designated Ilulissat Ice Fiord to Sermermiut where traces from the 3 old Eskimo cultures still can be seen. Sermermiut is a fertile valley next to the Ice Fiord; here you can enjoy the flowers as well as the fantastic Icebergs. 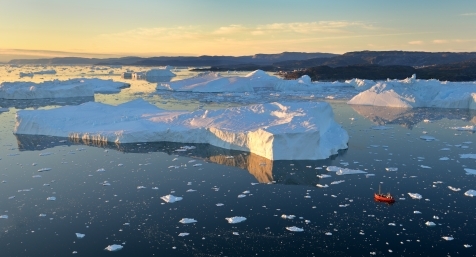 The midnight sun and the warm red colours reflecting in the gigantic icebergs is a fantastic sight. Cruise between the icebergs and enjoy a late Martini on "the real rocks"! Season for midnight sun is approx. 22 May - 24 July. Outside the season the excursion is operated as an evening cruise with the beautiful sunset reflecting over the icebergs. Cruise in front of the 5 km wide glacier for around an hour and if you’re lucky enough you may witness the unique sight of an iceberg breaking off. Afterwards you continue to the small settlement of Ataa, a former trading station, where you will enjoy a delicious 2 course lunch including a glass of wine. You will then have time for a short walk in the area before returning to IIulissat. If you are lucky you may even spot some whales on your return journey! 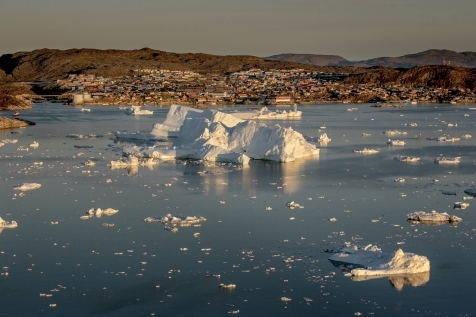 During a walk through town a local guide will tell you about the history of Ilulissat. Visit the old part of town and the buildings from the very start of the Danish trading station, the busy fishing harbour, the old church and the museum. 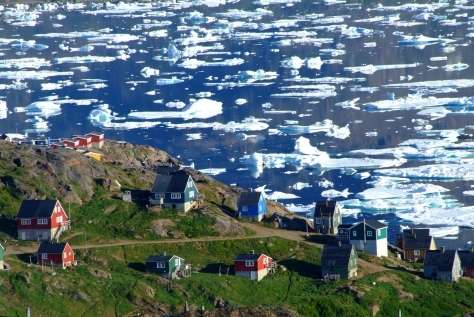 Services of Destination Guide in Greenland.